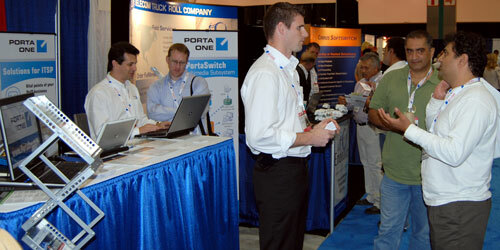 Today is the second day of ITEXPO West in Los Angeles, CA. ITEXPO is the event to help enterprises, SMBs, and Government Agencies to select and deploy IP-based voice, video, fax, and unified communications. It is where service providers learn how to profitably roll out services their subscribers are clamoring for. The PortaOne team uses this opportunity to meet our current and potential customers to show how PortaSwitch can assist them in their VoIP business. The next large event this year where there will be an opportunity to meet PortaOne people in person is Fall VON in Boston, MA. 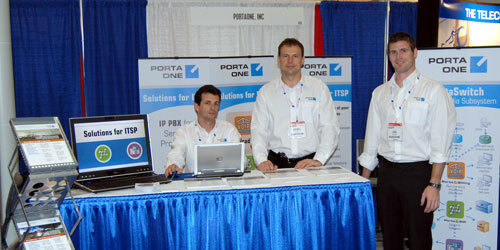 Please visit PortaOne booth 1243 on October 30-31, 2007 at Boston Convention Center.